The Lumia smartphone lineup has been aging without a successor in sight. This is about to change with the introduction of the Microsoft Lumia 950 which is the first official Windows 10 mobile device alongside the larger Microsoft Lumia 950 XL. The Lumia 950 XL was unveiled during a Microsoft media event which took place today, and aims to become an option for users looking for large screen smartphones. As you would expect from a device categorized as a "phablet", the Lumia 950 XL is a large device, measuring 151.9 mm tall, 78.4 mm wide and 8.1mm thick. The camera hump in the back slightly adds to the thickness of the device, but its nowhere near as pronounced as the Lumia 1020. The back of the Lumia 950 XL is made of plastic and can be removed, although the battery is fixed and not user-replaceable. Only two colors for the handset have been announced so far – white and black. 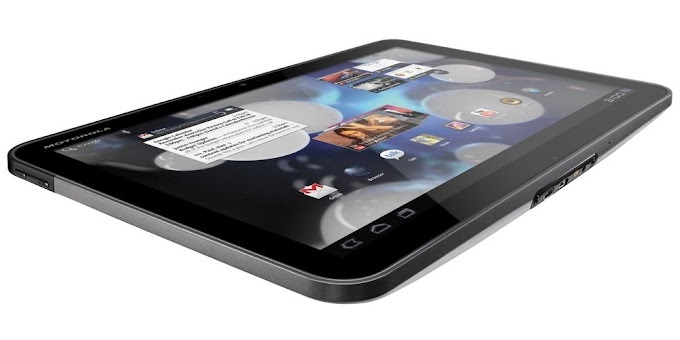 Power and volume buttons can be found on the side, with the power button being positioned between the volume buttons. There are no physical navigation buttons on the Lumia 950 XL. Instead you will find on-screen navigation keys, which most Windows (and Android) fans are now familiar with. The Lumia 950 XL has been outfitted with a 5.7 inch OLED display which has a 1440 x 2560 pixel resolution. 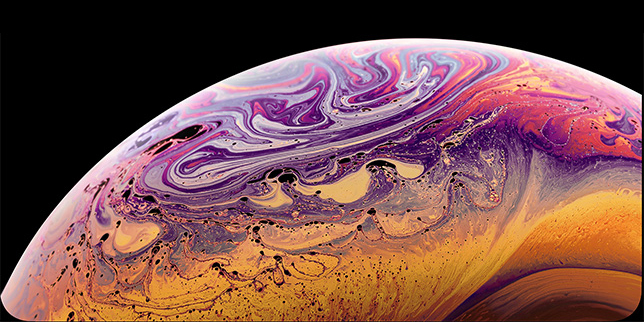 This results in a 518 ppi pixel density. The display is protected with Corning's Gorilla Glass 4, and includes Microsoft's Glace Screen technology. You also get ClearBlack which minimizes the screen's reflectance for better outdoor visibility. 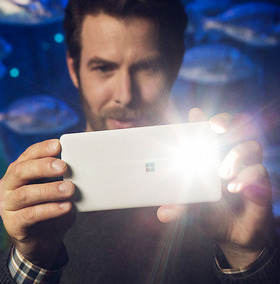 Additionally, the Lumia 950 XL will automatically trigger high brightness when needed outdoors. 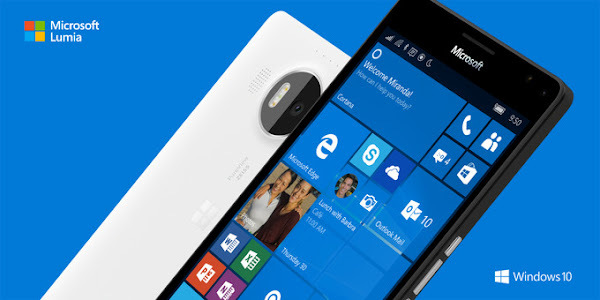 The Lumia 950 XL is powered by a powerful octa-core Snapdragon 810 processor clocked at 2.0GHz. Microsoft is combating possible overheating by outfitting the handset with liquid cooling technology. While Microsoft hasnt specified the exact amount of RAM the device packs, we do know the base model comes with 32GB of internal storage with the option of expanding it through microSD. Microsoft has outfitted the Lumia 950 XL with a 20MP camera with a 16:9 ratio and ZEISS optics. You also get the fifth generation of optical image stabilization on Lumia devices, so low light photography should be quite good. The Lumia 950 XL uses a triple LED flash, which should help produce better, more natural colors and skin tones when the flash is used. You also get a 5MP front-facing camera for selfies and video calls. Videos can be recorded at up to 4K resolution for outstanding details, while the four microphones capture rich, high-fidelity sound. However, it is rather odd that we don't see any fancier modes present on the Lumia 950 XL. For example, 60fps video mode isn't listed in the phone's specs. Slow-motion mode is absent as well. As far as connectivity goes, the Lumia 950 XL has not one but two adaptive integrated antennas to improve reception, depending on how the handset is being held. And on its bottom is a USB Type-C connector – one in which USB Type-C cables go either way. Just keep in mind that Type-C is incompatible with the widespread Micro USB cables of today. Fast charging is on board – a 30-minute charge from the stock charger should get you from zero to over 50% battery capacity. Or you may recharge the phone's battery wirelessly. Speaking of the battery, it has a capacity of 3340mAh. The Microsoft Lumia 950 XL runs Windows 10 Mobile. This means, users will get to experience Cortana's digital assistance, along with Microsoft services like OneDrive, Skype and Office out of the box. While the Lumia 950 XL doesnt have a fingerprint scanner, it does have Microsoft Hello for secure identification. Microsoft Hello will allow the smartphone owner to unlock the phone by simply picking it up and looking at it. One of the coolest features the Lumia 950 XL brings with Windows 10 is Continuum. Basically, you may hook up the smartphone to an external monitor, a keyboard, and a mouse for desktop PC-like productivity. The new tech was demonstrated on stage and it looked pretty handy. But there's a catch. You'll need a Microsoft Display Dock to take advantage of Continuum. It plugs into the 950 XL's USB Type-C port, providing the necessary connectors and ports for hooking up the handset to various peripherals. Microsoft will be releasing the Lumia 950 XL in November for a price of $649 off-contract. So far, U.S. carriers are still to announce availability of Microsoft's new phablet, but we expect news will arrive eventually. We expect the new device will also find its way to parts of Europe where the Lumia brand is slightly more popular, and other regions around the globe.